The Constitution of the Czechoslovak Socialist Republic (Ústava Československé socialistické / Československej socialistickej republiky in Czech / Slovak), promulgated on 11 July 1960 as the constitutional law 100/1960 Sb., was the third constitution of Czechoslovakia, and the second of the Communist era. It replaced the 1948 Ninth-of-May Constitution and was widely changed by the Constitutional Law of Federation in 1968. It was extensively revised after the Velvet Revolution to prune out its Communist character, with a view toward replacing it with a completely new constitution. However, this never took place, and it remained in force until the dissolution of Czechoslovakia in 1992. Andrei Antonovich Grechko (Russian: Андре́й Анто́нович Гре́чко; 17 October [O.S. 4 October] 1903 – 26 April 1976) was a Soviet general, Marshal of the Soviet Union and Minister of Defense. Bedřich Geminder (19 November 1901 in Vítkovice - 3 December 1952 in Prague) was Chief of the International Section of the Secretariat of Czechoslovak Communist Party. He was executed together with Rudolf Slánský and others. The Czech National Council (Czech: Česká národní rada, ČNR) was the legislative body of the Czech Republic since 1968 when the Czech Republic was created as a member state of Czech-Slovak federation. It was legally transformed into the Chamber of Deputies according to the Constitution (Act. No. 1/1993 Coll.) because of the dissolution of Czechoslovakia in 1992. 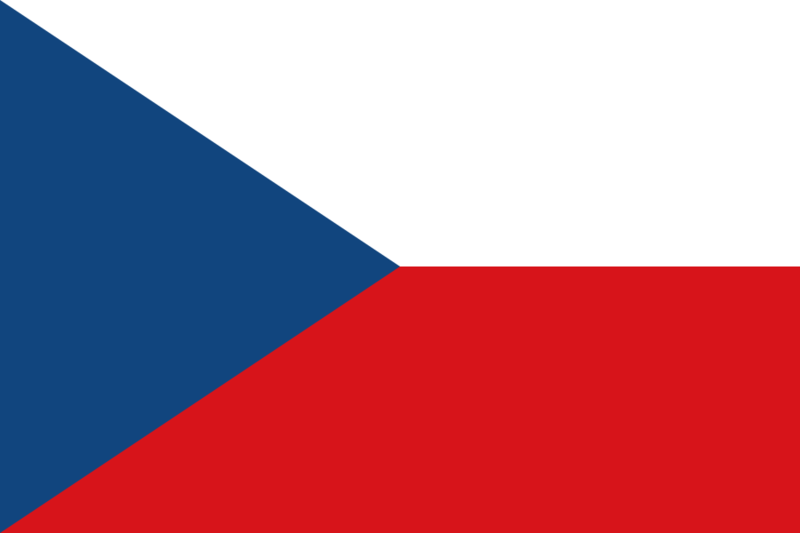 The Czech Socialist Republic (Česká socialistická republika in Czech; abbreviated ČSR) was a republic within the Czechoslovak Socialist Republic that is now the independent Czech Republic. The name was used from 1 January 1969 to March 1990. The government of Czechoslovakia under socialism was in theory a democratic one directed by the proletariat. In practice, it was a one-party democratic dictatorship of the proletariat run by the Communist Party of Czechoslovakia, the KSC. In the 1970s and 1980s the government structure was based on the amended 1960 Constitution of Czechoslovakia, which defined the country as the Czechoslovak Socialist Republic. The Constitutional Act on the Czechoslovak Federation (1968) transformed the country into a federal state and stipulated the creation of two constituent republics, with separate government structures for the Czech Socialist Republic, located in Prague, and the Slovak Socialist Republic, situated in Bratislava. These republic governments shared responsibility with the federal government in areas such as planning, finance, currency, price control, agriculture and food, transportation, labor, wages, social policy, and the media. The central government, located in Prague, had exclusive jurisdiction over foreign policy, international relations, defense, federal stockpiles, federal legislation and administration, and the federal judicial system. Government institutions in Czechoslovakia performed legislative, executive, and judicial functions. The Constitution clearly defined the responsibilities for making and implementing policy held by each branch of government In reality, however, all decisions of state were made by the Communist Party of Czechoslovakia. Government bodies existed purely, to administer the party program. The title of the Hero of the Czechoslovak Republic was established 1955. The name of the title was changed to Hero of the Czechoslovak Socialist Republic in 1960. Awarded 31 times to some Czechoslovak war heroes, to the general and later president Ludvík Svoboda, to the Czechoslovak president Gustáv Husák, to the Czech cosmonaut Vladimír Remek, Soviet generals and marshals and to Leonid Brezhnev. The piece no. 32 has been given to the National Museum. The title Hero of CSR (later Hero of CSSR) was awarded to honor extraordinary merits for the republic connected with a hero achievement or repeated achievements. The title was awarded upon proposal of the government. The hero was awarded with Order of Klement Gottwald - for building of Socialist Homeland. The Gold Star of the Hero of CSSR was worn on the left breast side above all the Czechoslovak Awards or their ribbons, always in natura and in front of the Gold Star of the Hero of the Socialist Labour. Husakism (Czech: husákismus; Slovak: husákizmus) is an ideology connected with the Communist Slovak and Czechoslovak politician Gustáv Husák which has two different meanings and it was first used by Karol Bacílek to denounce the alleged "bourgeois nationalism" of Husák in 1950s. The later and more frequent use is for the ideology of Czechoslovak normalization, the Czechoslovak official ideology from about 1969 to about 1989, formulated by Husák, Vasil Biľak and others. The Czechoslovak Socialist Republic (1948–1989) greatly developed an already substantial industrial base, and became an important supplier of industrial products to other Comecon nations. By the mid-1980s, however, despite attempted remedial measures, Czechoslovak industry was lagging the West: it was energy intensive, innovation and investment in new plant were insufficient, and labor productivity was low. Josef Frank (25 February 1909, Prostejov - 3 December 1952, Prague) was a Czechoslovakian Communist politician. Between 1939 and 1945 he was imprisoned in Buchenwald concentration camp.In 1952 he was expelled from the party. He was subsequently arrested and sentenced to death by hanging in the Slánský trial, a show trial orchestrated from Moscow. In 1968 he was made a Hero of the Czechoslovak Socialist Republic in memoriam.Frank is the central character of Howard Brenton's 1976 play Weapons of Happiness, in which he is imagined not dead, but rather living in exile. Kirill Semyonovich Moskalenko (May 11, 1902 – June 17, 1985) was a Marshal of the Soviet Union. A member of the Soviet Army who fought in both the Russian Civil War and World War II, he later served as Commander in Chief of Strategic Missile Forces and Inspector General for the Ministry of Defense. The mass media in Communist Czechoslovakia was controlled by the Communist Party of Czechoslovakia (KSČ). Private ownership of any publication or agency of the mass media was generally forbidden, although churches and other organizations published small periodicals and newspapers. Even with this informational monopoly in the hands of organizations under KSČ control, all publications were reviewed by the government's Office for Press and Information. Censorship was lifted for three months during the 1968 Prague Spring but afterward was reimposed under the terms of the 1966 Press Law. The law states that the Czechoslovak press is to provide complete information, but it must also advance the interests of socialist society and promote the people's socialist awareness of the policy of the communist party as the leading force in society and state. Government concern about control of the mass media was such that it was illegal to own a duplicating machine or to reproduce more than eleven copies of any printed material. Nevertheless, a fairly wide distribution of underground publications (popularly known as samizdat throughout Eastern Europe and the Soviet Union) that were established during the Nazi occupation continued throughout communist rule into the 1980s. Matvei Vasilevich Zakharov (Russian: Матве́й Васи́льевич Заха́ров, August 17, 1898 – January 31, 1972) was Marshal of the Soviet Union, Chief of the General Staff, Deputy Defense Minister. Mánička (in plural: Máničky) is a Czech term used for young people with long hair, usually males, in Czechoslovakia through the 1960s and 1970s. Long hair for males during this time was considered an expression of political and social attitudes in communist Czechoslovakia. Rudolf Slánský (31 July 1901 – 3 December 1952) was a leading Czech Communist politician. Holding the post of the party's General Secretary after World War II, he was one of the leading creators and organizers of Communist rule in Czechoslovakia. After the split between Josip Broz Tito of Yugoslavia and Soviet premier Joseph Stalin, the latter instigated a wave of "purges" of the respective Communist Party leaderships, to prevent more splits between the Soviet Union and its Central European "satellite" countries. In Czechoslovakia, Slánský was one of 14 leaders arrested in 1951 and put on show trial en masse in November 1952, charged with high treason. After eight days, 11 of the 14 were sentenced to death. Slánský's sentence was carried out five days later. The Slovak Socialist Republic (Slovak: Slovenská socialistická republika; abbreviated SSR) was from 1969 to 1990 the official name of Slovakia. The name was used from 1 January 1969 until March 1990. Yury Viktorovich Romanenko (Russian: Ю́рий Ви́кторович Романе́нко, Jurij Viktorovič Romanenko; born August 1, 1944) is a former Soviet cosmonaut, twice Hero of the Soviet Union (March 16, 1978 and September 26, 1980). Over his career, Yury Romanenko spent a total of 430 days 20 hours 21 minutes 30 seconds in space and 18 hours in space walks. In 1987 he was a resident of the Mir space station, launching on Soyuz TM-2 and landing aboard Soyuz TM-3. He remained on Mir for 326 days that was the longest stay in space at that time. His son, Roman Romanenko is also a cosmonaut, and has become the third second-generation space traveler on Soyuz TMA-15 in May 2009.